Now that the weather’s starting to warm up, it’ll soon be prime season for all manner of fireside shenanigans. 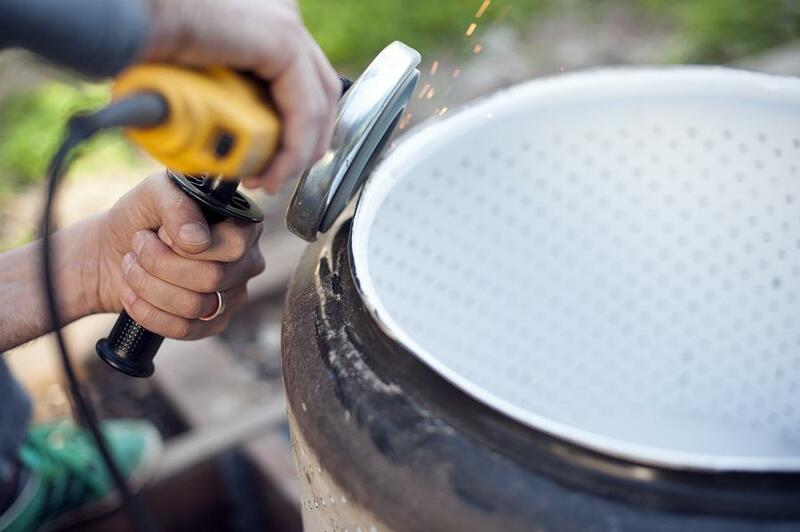 That means you’ll need a fire pit of some sort, and if you don’t already have one, we’ve got the perfect DIY project to help you make one without spending a bunch of money. All you need is an old washing machine drum and a little bit of elbow grease. 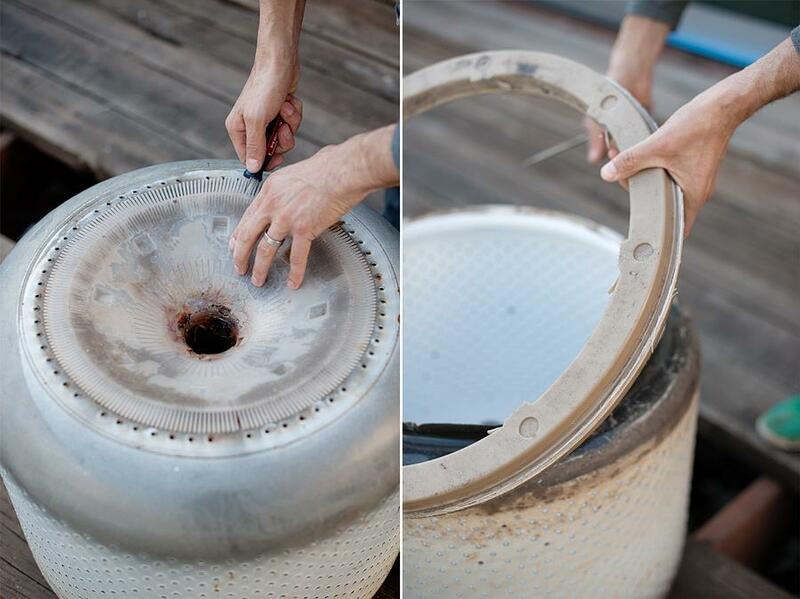 Crafty people all across the country are making awesome upcycled fire pits on the cheap with washing machine drums. Apparently, they’re perfect for it. Not only are they an ideal size, but most are spotted with an array of holes, which help to promote good airflow. With a little bit of polish and some heat-resistant paint, it’ll look damn near professional. Here’s a rough guide to making one yourself. *Note: Working with power tools and tearing apart washing machines are potentially dangerous activities. Digital Trends accepts no responsibility for injuries sustained while performing these activities, and recommends the use of proper safety equipment during all stages of the process. This is definitely the hardest part of the entire process, but there are a couple different ways you can go about it. Some are cheaper/more labor intensive than others, so choose your methods accordingly. If you happen to have a busted old washer in your basement that’s collecting dust and wouldn’t get you much money if you sold it, you’re all set. Just grab your toolbox, and get ready to tear it apart. We don’t recommend that you tear apart a good, working dryer that you’re currently using, or could resell for a decent chunk of change. No, not a new one. That would be expensive. The whole idea here is to make a fire pit on the cheap, so there’s no sense in forking over lots of cash on a new (or even used) washer. Instead, hit up Craigslist and try to find one that somebody’s just trying to get rid of. You’d be surprised how often people give away old appliances for free just to get somebody to haul them away. If you’re willing to wait for a good deal to pop up, use this IFTTT recipe we made to get alerts as soon as somebody posts an ad for a free washing machine. If you live in a moderately populous area, chances are pretty good that you’ll have an appliance repair shop somewhere nearby. Find them online, or hit up your local yellow pages. Search for repair shops, parts stores, and salvage yards. Once you’ve found a few good places, call around and see if any of them have a spare dryer drum. If they do, and they’re selling it for cheaper than what you would pay for a fire pit, buy it. Depending on where it came from, the old washer drum you pick up might be rusty, dented, or have sharp edges. Do whatever you need to do to fix these problems. An angle grinder will likely come in handy at this point. Also, if you’re planning on using the fire pit on top of a wooden deck or the grass in your back yard, you might also want to add legs to the bottom to elevate it a bit and ensure that it won’t burn whatever surface it’s sitting on. This admittedly makes the process much more complicated, and will probably require a bit of welding. Once you take off all the rust and smooth out any sharp edges, it’s time to make the drum look pretty. This is probably the easiest part of the entire process. Just snag yourself a can of heat-resistant spray paint in whatever color you want (we suggest black, since the finish will inevitably begin to blacken over time with use anyway) and give it a couple of coats. It’s extremely important that you use a paint rated for high temperatures, so don’t think that you’ll be in the clear if you use regular paint. Once everything dries, all that’s left to do is sit back and marvel at your new DIY fire pit. You also might need wood to burn, and if you don’t live near wooded areas, we highly suggest using the same IFTTT recipe to find free wood on Craigslist. Has clock speed outlived its usefulness as a processor specification?